Sometimes, a film can effortlessly open at number one at the box office while still being a pretty huge disaster. 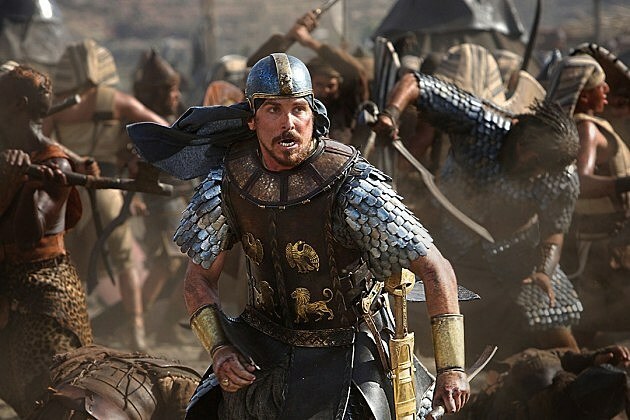 This is the case with ‘Exodus: Gods and Kings,’ which rode a wave of terrible reviews and an even more terrible marketing campaign to a hugely disappointing start. With a lot of big movies opening the next two weeks, the new biblical epic won’t even find time to grow some legs. Chances are strong that it is dead on arrival. But it wasn’t all doom and gloom this week. Chris Rock’s acclaimed ‘Top Five’ opened in fourth place with a solid $7 million, which is a nice start for a lower-budgeted indie that opened in limited release. For the more interesting successes, you’ve got to scroll on down to slot number nine and ‘The Theory of Everything,’ which continued to quietly dominate in its limited release. With a $2.5 million weekend and a $17 million total, the Stephen Hawking biopic is already a sleeper hit, and considering the minuscule 4.6% drop, it’s not going anywhere anytime soon. But let’s go back to the chart above. ‘The Hunger Games: Mockingjay – Part 1’ took a bit of a tumble this week, grossing $13 million for a $277 million total. It should reach $300 million within the next two weeks, but the $400 million gross of the first two films is looking impossible at this point. What went wrong here? Were people simply turned off by the final chapter being split into two movies?